If you would like to transform your old, outdated fireplace this winter, you may want to consider hiring fireplace contractors to help you update your fireplace design . 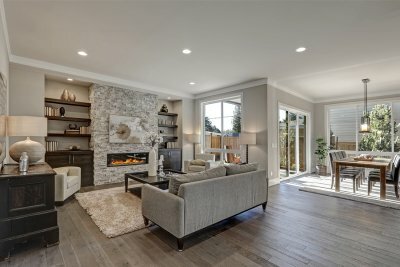 With assistance from a team of experienced fireplace contractors in San Jose, you will be able to choose modern materials that will turn your older fireplace into a contemporary living room element. When you are planning on updating your fireplace, it is a great idea to gather some design ideas. A conventional wood burning fireplace is a terrific candidate for modern design accents, such as a glass mantle or natural stone hearth. 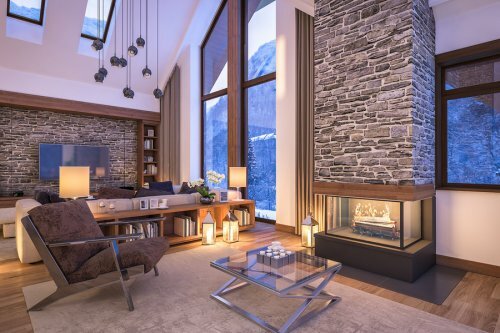 To make your wood burning fireplace look even more contemporary, you may want to consider enhancing its exterior with streamlined fireplace shapes. Both wood and gas fireplaces also look great when they are designed with river rock mantels. To learn all about the design ideas that can be incorporated into your fireplace, be sure to get in touch with your local contractors.